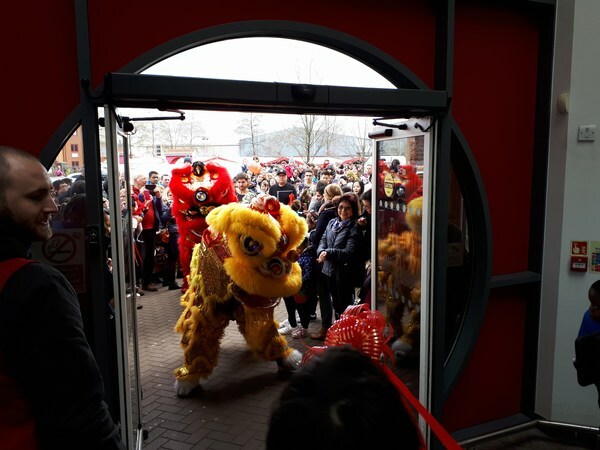 On 17 Feb 2018, we welcomed the Year of the Dog with our Chinese New Year celebrations at our store in Bristol. 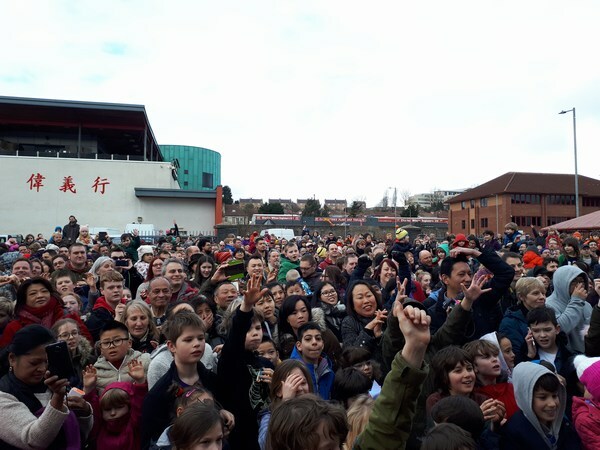 Thank-you to everyone who came to join in the festivities, and helped to make the event such good fun. 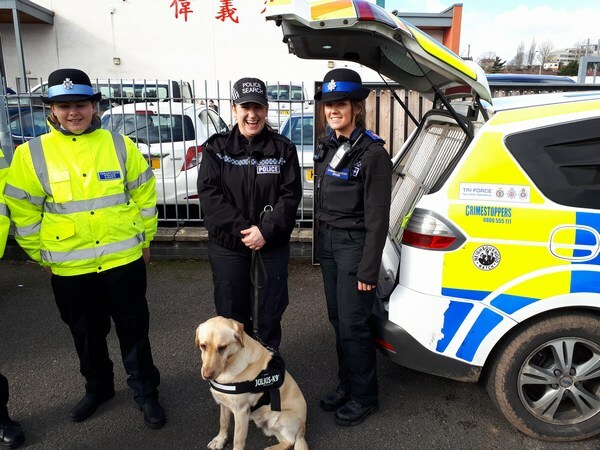 This year, we were delighted to be joined by a gorgeously furry member of Avon & Somerset Police in honour of the Year of the Dog. 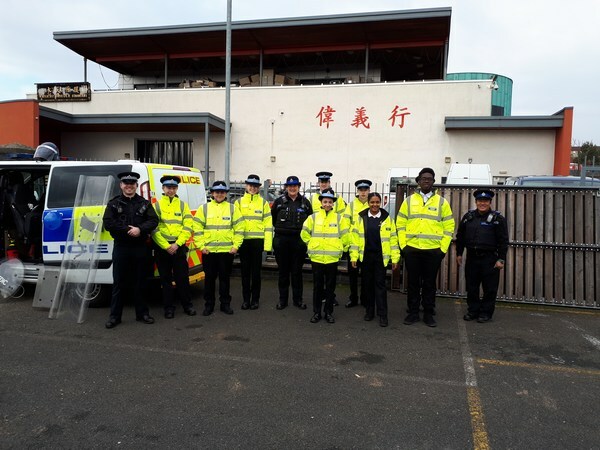 Avon & Somerset Police also brought their riot van and a group of police cadets. 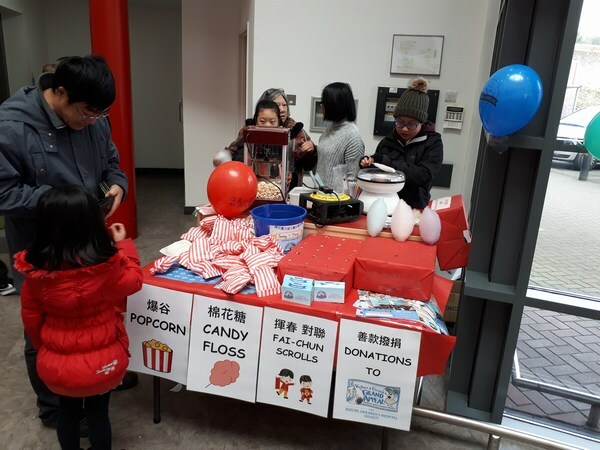 They joined Jenny Tse, who was giving away popcorn and candy floss to raise money for Wallace & Gromit’s Grand Appeal. Thank-you for helping us raise over £180 for The Grand Appeal. 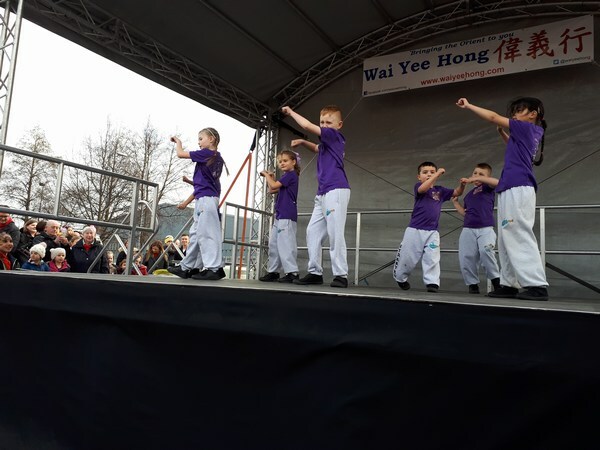 As usual, our celebrations were kicked off by the dance students from Street Envy, who entertained us with their street-dance moves. 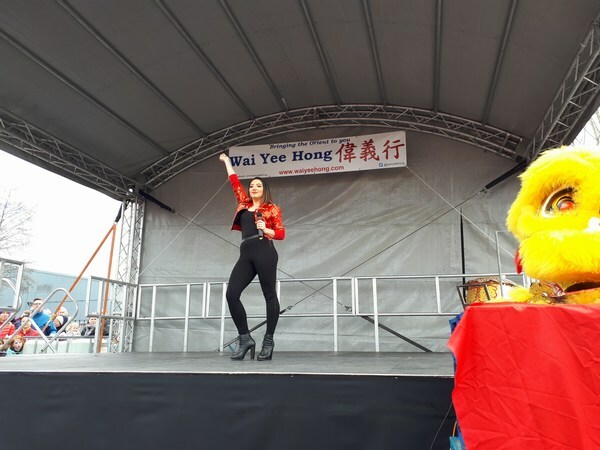 Later, X-Factor finalist Tita Lau got the crowd dancing to k-pop. 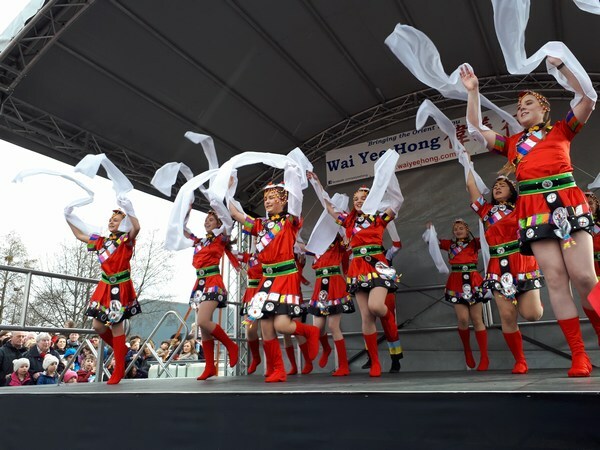 We enjoyed the Tibetan Spring Awakening dance from The Clevedon School Elite Dancers, while Joy Cheung demonstrated a traditional Chinese fan dance. 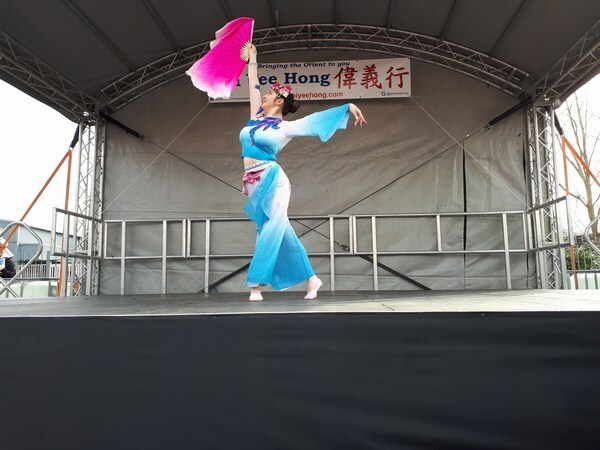 South Gloucestershire Chinese Association returned this year to entertain us with a wonderful chopsticks dance. 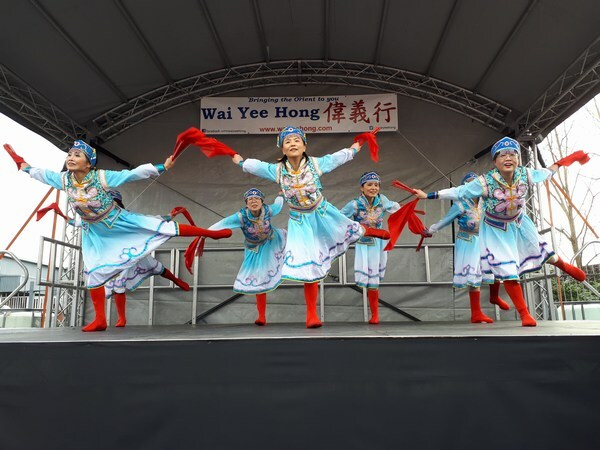 This dance used bunches of chopsticks to provide a lively percussive effect. Visitors seeking a more chilled out scene could get their face painted by Wow Faces. 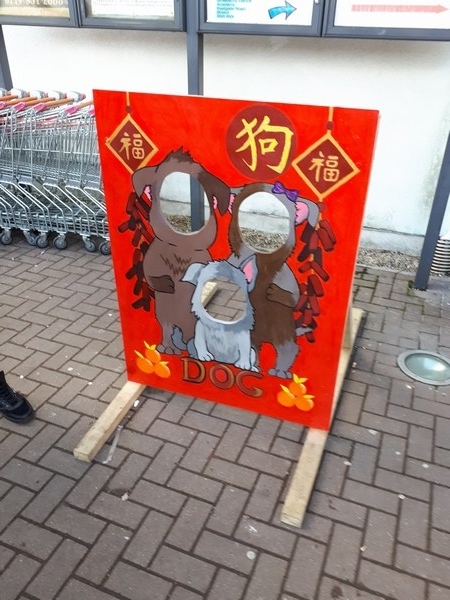 Alternatively, they could discover our Chinese zodiac trail and craft table. 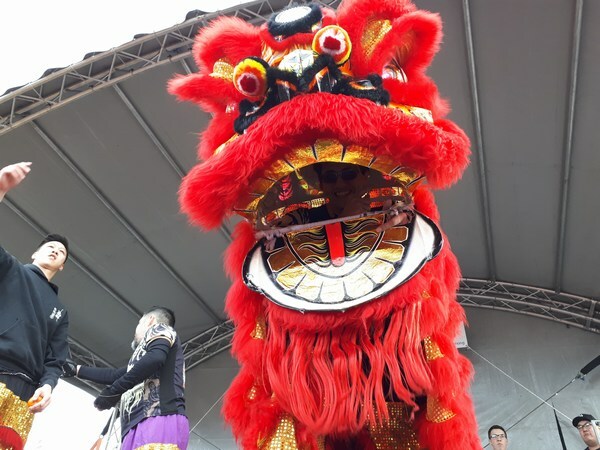 Children and adults alike could make paper lanterns and Year of the Dog masks. 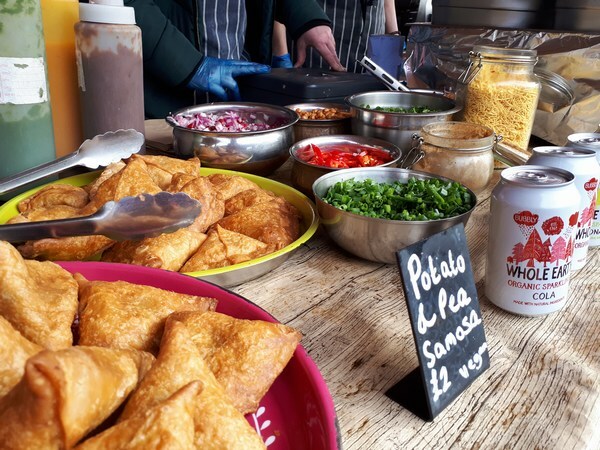 With more street food traders in our festive market than ever this year, we were spoilt for choice! 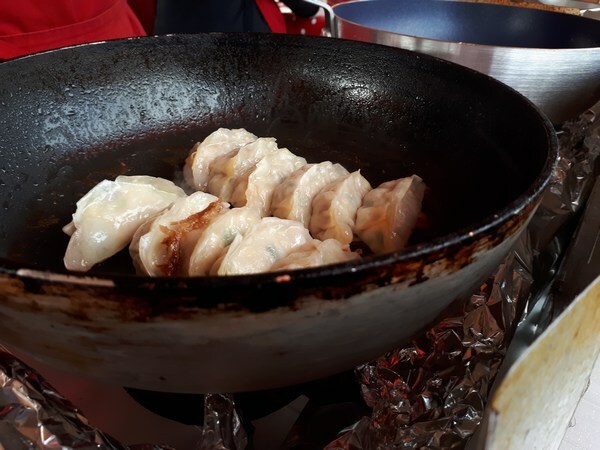 There were delicious gyoza by Eatchu, vegetarians and vegans were well served by Gopal’s Curry Shack, banh mi and pho from Viet Vite, and fab sushi and takoyaki from She Sells Sushi. 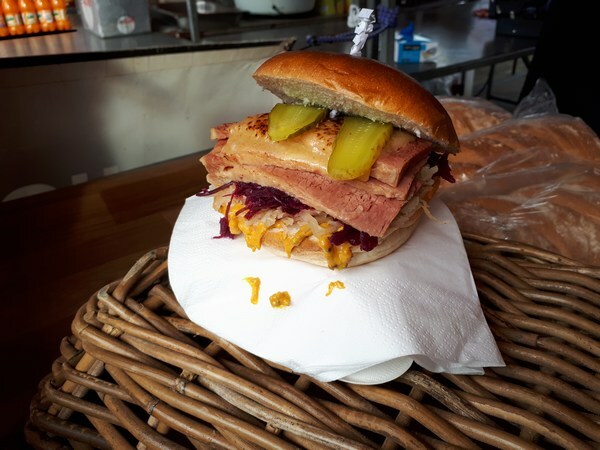 We had some new traders joining us this year: Pickled Brisket, with their delicious kimchi and salt beef creations. Blu Fire Smoke n Grill brought a taste of the Caribbean with their Jerk pork noodle boxes. Aunty Kat served up traditional Chinese roast pork rice and chicken wings. 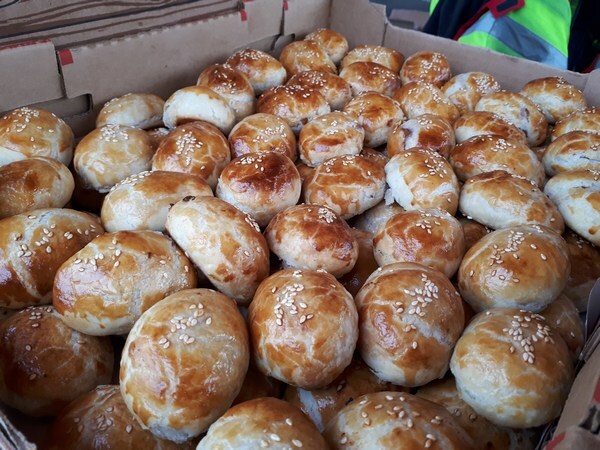 We also had tasty Chinese pastries made by our local Chinese baker available. 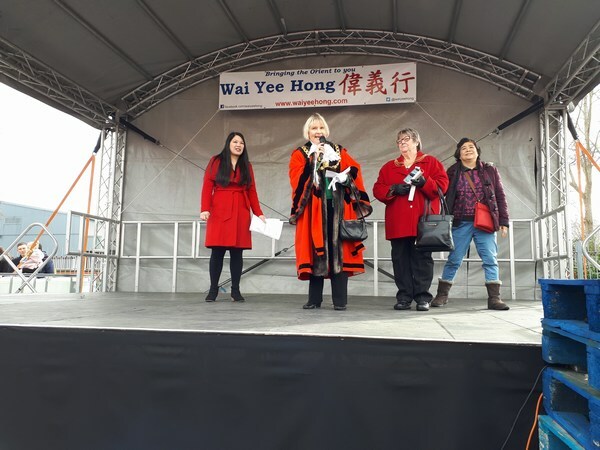 Lord Mayor Councillor Lesley Alexander opened our celebrations and led the countdown to the live firecrackers. 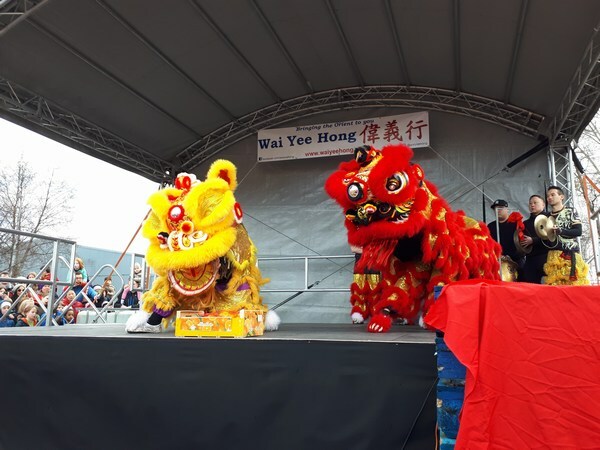 Yi Quin Lion Dance Troupe brought out their two lions to entertain and delight the crowd. The lions showered some of our lucky visitors with lucky lettuce, sweets and large clementines. 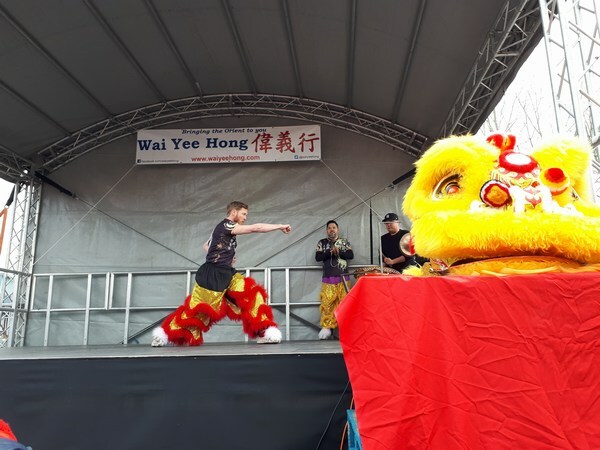 After their main performance, the lions danced through the crowds so everyone could see them close-up. Later, the lions came in to bless the store to bring luck for the coming year. 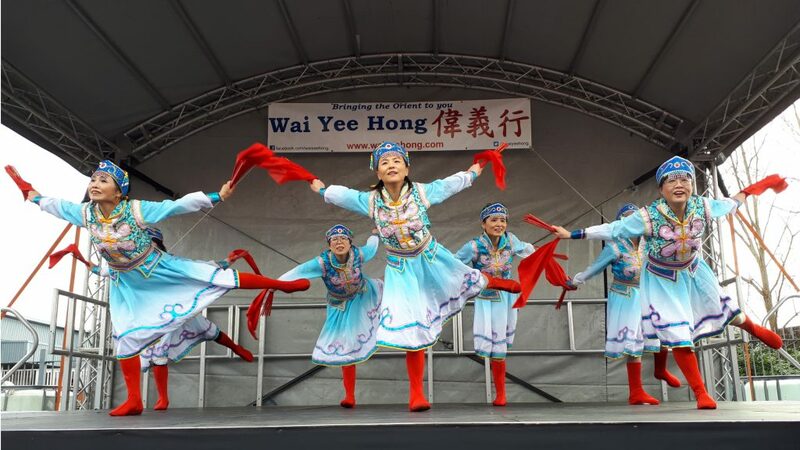 Wai Yee Hong would like to thank all of the community groups who contributed to our New Year celebrations. 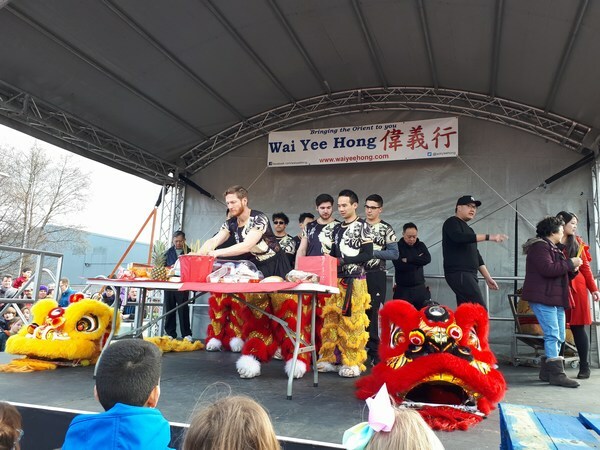 Thank-you to Chye, who coordinated the Avon & Somerset Police joining us this year. 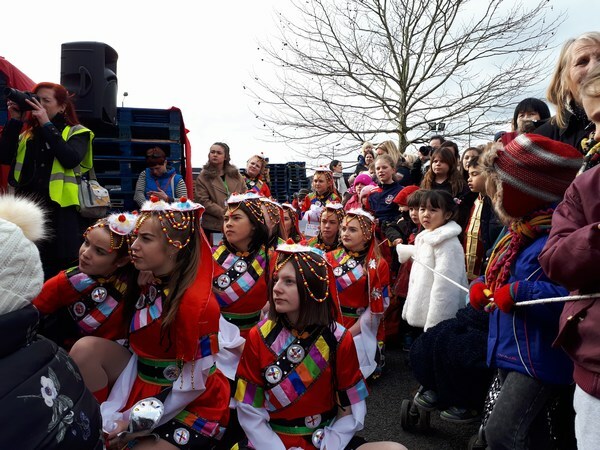 Thank-you the volunteers who helped to make the event possible and to all our visitors for celebrating with us! 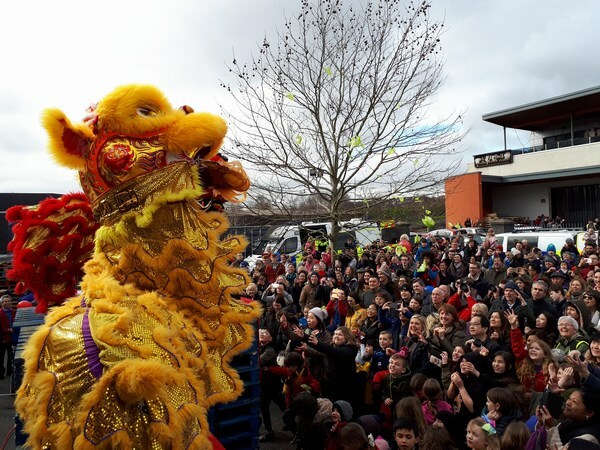 Gong Hei Fat Choi!